BBC Three Are Looking for Natural Street Fighters!! 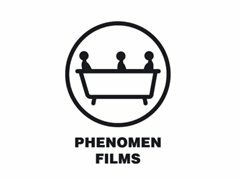 Interesting ‘Anti’ Casting opportunity with Phenomen Films, as part of an upcoming Cross Media large scale project launch involving Spiritualism, Science, The Human Condition, Culture, Film and Modern Art (and the controversy therein). As most castings involve being something other than your complete self, we suppose this is an “Anti” Casting! We are looking for different individuals from any backgrounds and professions to come in and have an honest intimate chat about themselves and their views. You don’t have to be a performer (but performers/characters are great), you can be a taxi-driver, a security guard, a chef, a waitress, an event planner, a banker, an electrician, a handyperson, a cleaner, a writer, a model, a bartender or anyone else. You could be jobless or have a full-time/part-time commitment. From this process we will select a roster of people to feature in the project launch. Unfortunately, we cannot go into massive details as the project is under wraps, but it should be a fun and interesting experience. Interesting ‘Anti’ Casting opportunity, as part of an upcoming Cross Media large scale project launch involving Spiritualism, Science, The Human Condition, Culture, Film and Modern Art (and the controversy therein).